Certain to create a vivid first impression. 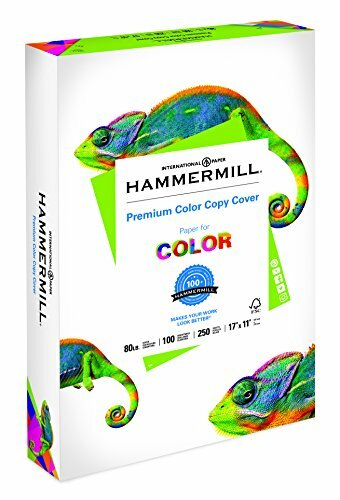 Same formulation as the Hammermill Color Copy Paper to ensure your signs or presentation covers look consistently great from start to finish. 99.99% JAM-FREE guarantee. Specifically formulated for high-speed digital color copiers and laser printers. Guaranteed for use in equipment that accepts cover weight papers. This product was made from wood that came from a certified managed forest. Size: 17 x 11; Paper Color(s): Photo White; Paper Weight: 80 lb. ; Sheets Per Unit: 250.